Have you ever heard of Probiotics before? Perhaps you have. But did you know how beneficial Probiotics are to help you build a healthier life? Well, if you haven’t known yet then you better sit back and read through this article. Then, make sure to comprehend how probiotics can help you build a healthier life. To begin with, let us know first what are Probiotics? Probiotics as Wikipedia defines it are live microorganisms that provide health benefits when consumed. Also known as “good” bacteria and originated from the Greek words “pro” and “biotos” which being translated “for life”. Probiotics are actually the opposite of antibiotics. They are considered as the good bacteria in your body that does important functions such as strengthening immune function, splits food into good nutrients, improve intestinal flora balance and increase resistance to infection. However, along with good bacteria, there are also bad or harmful bacteria in your body. In fact, the composition of bacteria in your body can indicate whether you are healthy or not! Statistics sites that colorectal cancer is the third leading cause of cancer-related deaths in women in the United States and the second leading cause in men. These beneficial bacteria significantly flourish intestinal tract, aiding in digestion, absorption, and the production of significant amounts of B vitamins and enzymes. Furthermore, the absence of these bacteria allows harmful bacteria to grow exponentially. Needless to say, it will create a negative impact on your health. Hence, it makes sense to think that a healthy colon is a basis for overall health. Consequently, poor diet and colon laxity can undoubtedly diminish these good bacteria thus leads to chronic degenerative diseases. Now, assuming that you are keeping track of a healthy diet, do you still need Probiotics? Well, Probiotics diminishes in the gut with these following instances. First on the list is Radiation or Chemotherapy. Chemotherapy or Radiation Therapy is both designed to kill fast-growing cancer cells. However, these therapies are inevitably killing healthy fast-growing cells too. Next is antibiotics. When we take a look at the origin of this Greek word “anti” which means against and “biotikos” means life, it literally means against life. Therefore, these antibiotics deteriorate beneficial or good bacteria in your body. Commercial meats are usually treated with antibiotics too. Next on the list is constipation. Constipation allows harmful bacteria to multiply therefore giving them a way to dominate and cause diseases. Furthermore, alcohol and cigarettes are also the cause of probiotics deterioration. Alcohol increases the amount of acid in your stomach and disrupts the natural balance of your digestive tract. According to Glenn Gibson UK Food Microbiologist “only highly resistant bacteria such as lactobacillus and bifido bacteria can survive stomach acid. Other types of bacteria, including many probiotics, are likely to be destroyed by stomach acid.” Besides, alcohol increases the risk of ulcers. Another contributor to probiotics deterioration is NSAIDS. Taking Aspirin, Advil, Naproxen, Salsalate and other NSAIDS for headaches, arthritis, menstrual cramps, and inflammations definitely destroys probiotics. In addition, Genetically Modified Organisms or GMO herbicides weakens and suppresses the growth of good bacteria thus leads to overgrowth of harmful bacteria in our food and in our body as well. Finally, poor diet also affects probiotics deterioration. If your diet is composed of mainly meat and fats, you simply promote the growth of harmful bacteria in your body as these substances take a longer time to break down. So, if you think you have undergone these instances, then you should by now look for a good source of these Probiotics! Let’s take a look at some of the benefits of Probiotics Optimization. By adding probiotics in your diet, you will reap these following benefits. Now that you know these awesome benefits of Probiotics, you probably want to know how to acquire them. So, here are good sources of Probiotics you might want to add in your diet. First on the list is Dark Chocolate. Who does not love chocolate? I think everyone does except for someone who has health issues such as diabetes. Yes, chocolate has probiotics that are beneficial to your body. Take note however that we are referring to DARK chocolate here, made of 70% or raw cacao or cocoa content. According to researchers, eating about 1 or 2 ounces of organic dark chocolate every day could have major health benefits. Another source of probiotic is green peas. A research found that green peas contain Leuconostoc mesenteroides, which are probiotic in nature and show high IgA-inducing ability. Also, they work to stimulate immune responses. To reap those vital probiotics, you need to eat raw fresh green peas. Also, Kimchi is a good source of probiotics. Kimchi is a probiotic food that’s considered a main Korean cuisine. It’s made of salted and fermented vegetables commonly napa cabbage and radishes along with a variety of seasonings including chili powder, green onion, garlic, ginger and sea salt. A study in Korea suggested that consuming fermented kimchi alters the bacterial growth in the gut. You can check this post if you want to make your own kimchi. Another good source of probiotics is wine. Wine in moderation has prebiotics and probiotics compounds. Prebiotics encourages the growth of probiotic in your gut. Alongside, wine contains Oenococcus oeni a probiotic bacteria that is said to reduce or prevent colitis and other colon diseases. Pickled cucumber is a great source of probiotic. It’s also a good source of Vitamin K that prevents blood clotting. Pickles are fermented cucumbers using vinegar, water, salt, garlic and other ingredients you want to add. For a more detailed instruction on how to make your pickles, you may check it here. Yogurt is a common source of probiotic. Moreover, yogurt is a powerful source of omega-3 fatty acids, whey protein, calcium, magnesium, potassium, vitamin D, vitamin K2, enzymes and probiotics especially when it comes from a grass-fed cow or goats. Additionally, Jon Barron states that unless you produce your own yogurt it does not really help. So, if you can plan to make your own, you can check it here. Last but not the least is tempeh. Tempeh contains Probiotics as it undergone fermentation. It’s a traditional soy product originated from Indonesia. Tempeh is made by a natural culturing and controlled fermentation process that binds soybeans into a cake form . Aside from Probiotics, tempeh has high levels of vitamins B5, B6, B3 and B2. You can eat tempeh raw or by boiling or pair it with salads, sandwiches, stews etc. 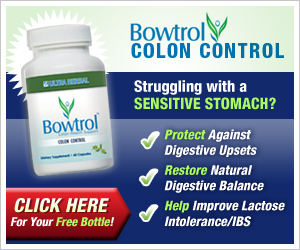 You may also check how to choose The Best Probiotic Supplement to add to your diet.